The Greatest High Energy Ninja Style Fire Show On The Planet The Blazed Up Fire Show is loaded with high energy, fire and explosions. Many call him the new age "Street Fighter". 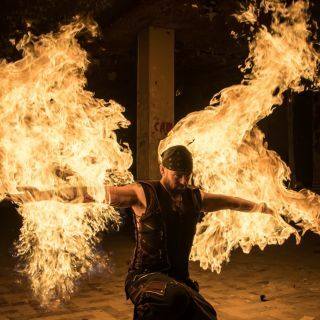 Its a must see ninja show like no other because of his fire eating set and big explosions. "Non will leave disappointed"